Service days are Monday and Thursday. 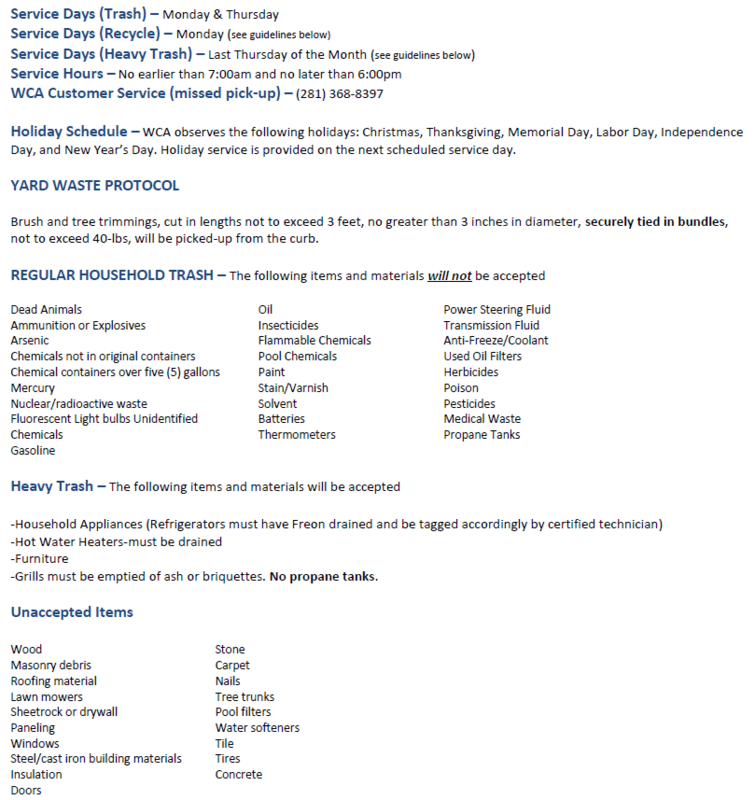 Heavy trash pickup is the last Thursday of the month. Poly carts should be placed with the handle facing away from the street and wheels against the curb. Your trash container is WCA blue (95 Gallon) and is the larger of the two carts, and your recycling container is Gray (65 Gallon) with recycling instructions on the lid. Carts must be placed at the curb before 7:00 a.m. on the specified collection day.